Ella is a mountain town in the Central Highland of Sri Lanka, about 1000 meters above sea level. 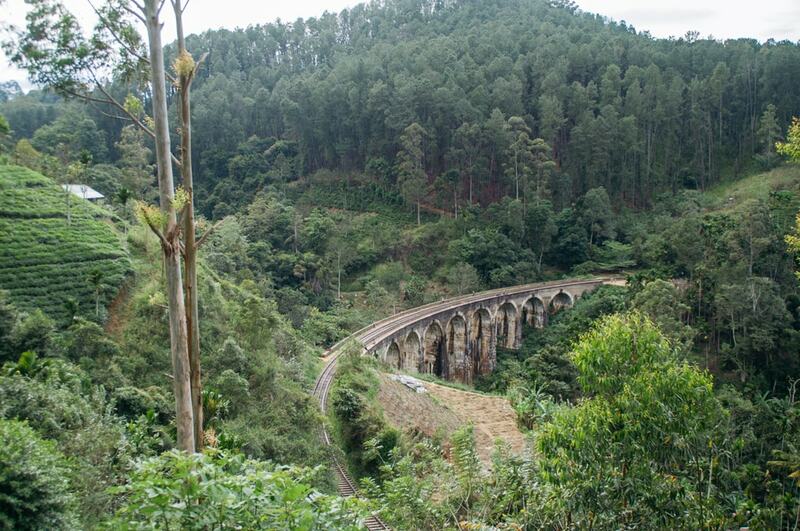 The train ride from Kandy to Ella is one of the most memorable in the world and it’s definitely the best way to get there. 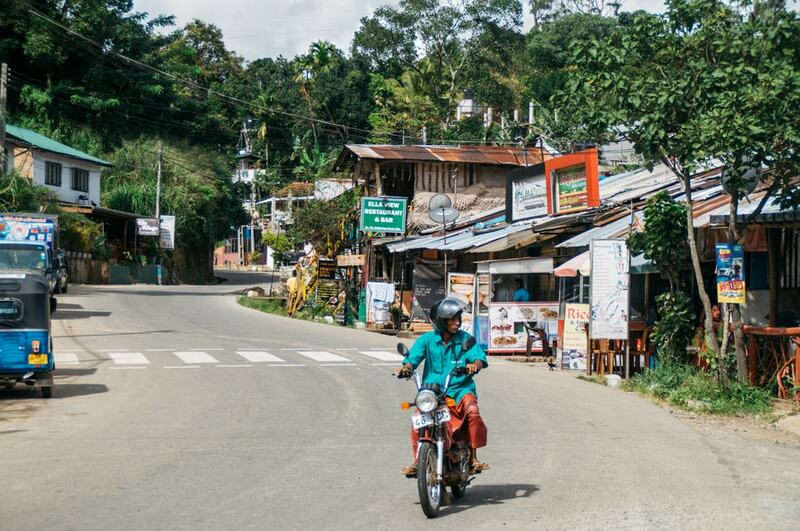 Although it is not a big place, there is plenty to do in Ella, from hiking trails to waterfalls or lounging at the cafes. Most visitors to Ella come for the hiking trails. The most well known being the hikes to Little Adam’s Peak and to Ella Rock. It’s best to do the treks early in the morning as it is common for the rain to pour down in the afternoon. 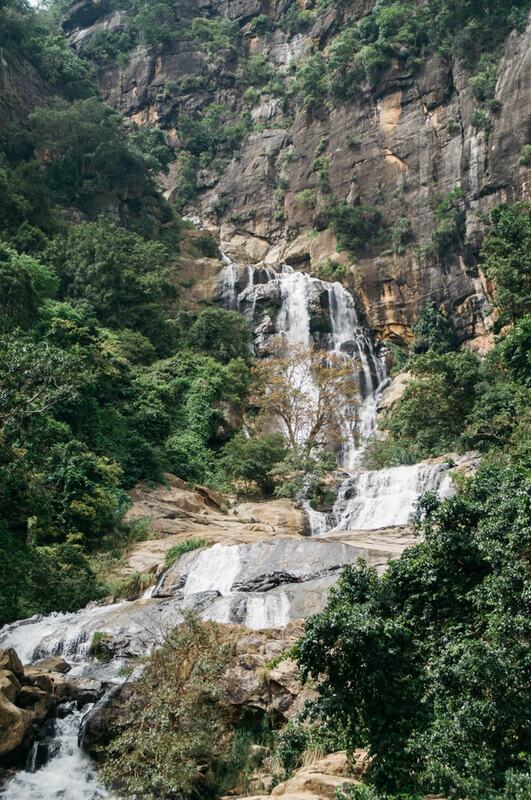 Both hiking destinations will give you beautiful sprawling views of the Sri Lankan country side. Both hikes start at the town and can be done without a guide. There are around 400 waterfalls on the island so why not see some of them! Around Ella you can visit Ravana Ella, Bambaragama, Dunhinda and Diyaluma. If you stay in a homestay like Waterfalls Homestay you can get beautiful views of Bambaragama (Little Ravana) falls. The Dowa Rock Temple is only few kilometers away from Ella. A short tuk tuk drive or a bit of a longer walk will take you to where a Buddha is half sculpted into the rock. A temple is built around it with a lovely stupa and a lush green backdrop. 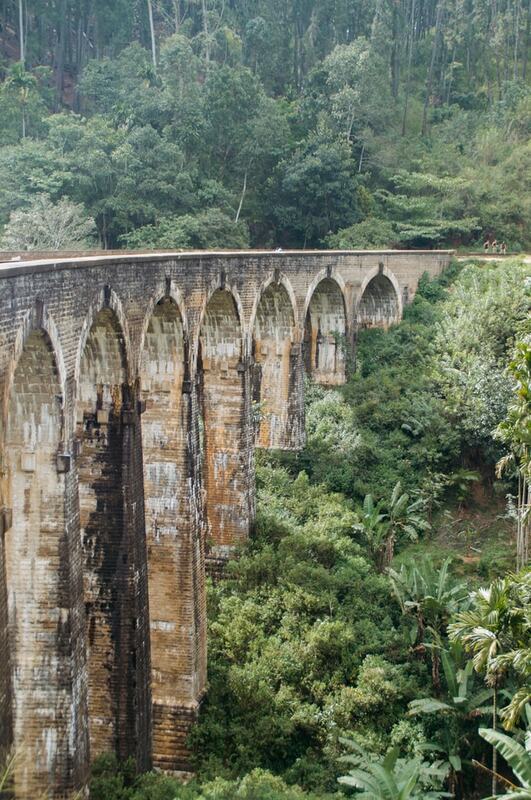 Only a short walk walk from Ella is the Demodara Nine Arch Bridge. You can walk across it, under it or just sit and wait for the train to pass while you sip a coffee at the Nine Arches Bridge cafe. From Ella, the trail goes along the mountain until you can see the bridge from the side of the hill. Another way to get there is to take the train to Demodara and walk back along the train tracks. A bit of hike up the mountain from Ella, you can reach the Ravana cave and temple. It’s believed that the caves go deep into the mountain, all the way to Ravana falls. Although visitors don’t walk too far into the caves, only enough to see the views. There is a temple outside the cave in memory of Ravana, the mythical king who stole Rama’s wife Sita in the story of the Ramayana. Like in most of the Sri Lankan highlands, there are tea plantations everywhere. With just a little walking, you can get to the plantations quite easily. Both the hikes to Little Adam’s Peak and Ella Rock take you past tea estates. Why not veer off the path and walk through the tea for a bit. The best place to take a nice rest and eat a pretty good meal is the Cafe Chill on the main road. There are few places on the island with the kind of ambience that Cafe Chill has. During the day it’s very relaxed as the name suggests and at night it gets busy with expats and locals having drinks and enjoying some good music. A great way to experience Ella is in a little homestay or guesthouse on the cliffside. There is a row of homestays on the opposite side of little Ravana falls. One of the places along that road is a tiny little restaurant that serves one of the best rice and curry buffets in Sri Lanka.